It’s party time! In the Bay State, you’ll find no shortage of birthday fun for kids. From exciting zoo parties that bring the kiddos close to their favorite animals, to water parks that will keep them entertained for hours, here are 10 great spots for a kid’s birthday party in Massachusetts. Imagine a birthday party with local Boston pizza, cupcakes from a nearby bakery and Legos, too. That’s what your child and his guests will enjoy when you book a party at Legoland Discovery Center. The children will all build their own Lego project and take it home. If your child’s birthday falls between April and the end of October, consider holding a birthday party at Southwick’s Zoo. Between the animals, the birthday party pavilions and the rides, you’ll have very excited kids. Check out the impressive birthday party options online. A birthday party at CoCo Key Water Park means a wet and wild day for both the kids and adults involved. From the water slides to the arcade, and the menu choices that kids will love, this is definitely the place for an exciting birthday celebration. 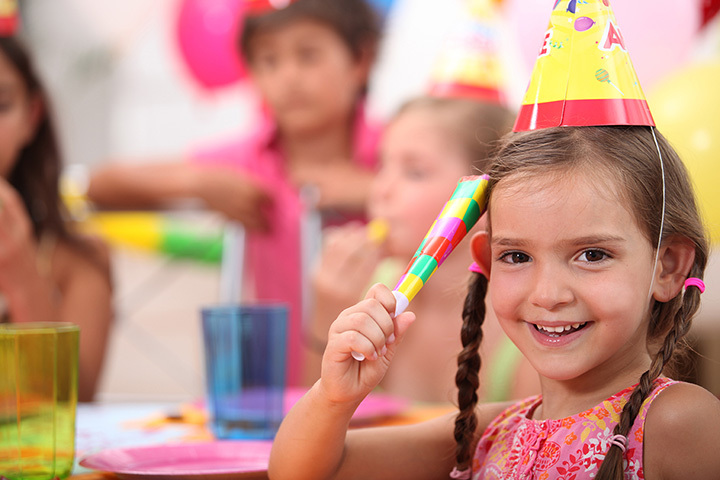 Contact one of their birthday planning specialists to make plans for party time. Did you know that the Museum of Fine Arts hosts birthday parties for kids? As long as your birthday child and guests are age four and older, they can enjoy hands-on art activities, a gallery tour and more. There is a maximum of 30 people, so keep that in mind. What an exciting and educational way to celebrate a birthday! If your birthday boy or girl celebrates between September and June (that’s not a misprint…the farm is busy with summer camp from June through September!) consider a Barnyard Bash or a Pony Party at Lil Folk Farm. Children must be at least seven years-old to participate in the Pony Party. All parties last two hours and can include cotton candy and painting a horseshoe for an additional fee. Little scientists—or even just kids who question everything—will love attending a birthday party at Boston’s Museum of Science. Wolfgang Puck Catering takes care of the food. Up to 40 may be accommodated. Call and speak with a function coordinator to learn about the various exciting options. Imajine That is an interactive children’s museum, where hands-on action is encouraged. You can hold your child’s birthday party here, too. Check the website for party themes. These parties are geared to kids aged seven and under. Choose between a fitness party, pool party, tennis party or a Zumba party at the Adirondack Club. In addition to these planned activities, your party will include balloons, invitations, set up, clean up and a special gift for the birthday boy or girl. Birthday party guests will love breaking a board and playing games under the direction of the black belt experts at Jae H. Jeong’s U.S. Tae Kwon Do Center. Parties last two hours. Call to work with a representative and create a party your son or daughter will love. Playing laser tag is exciting for the birthday host and his or her guests. At Laser Craze, parties are planned for ages two through adult. Laser Craze las locations in North Andover, Westborough, and Woburn. Check the website for the numerous party plan options.